Kure Beach is named after Hans Kure – a Danish-born man who originally lived in Charleston, and who decided to move to the Cape Fear coastline with his family in 1895. 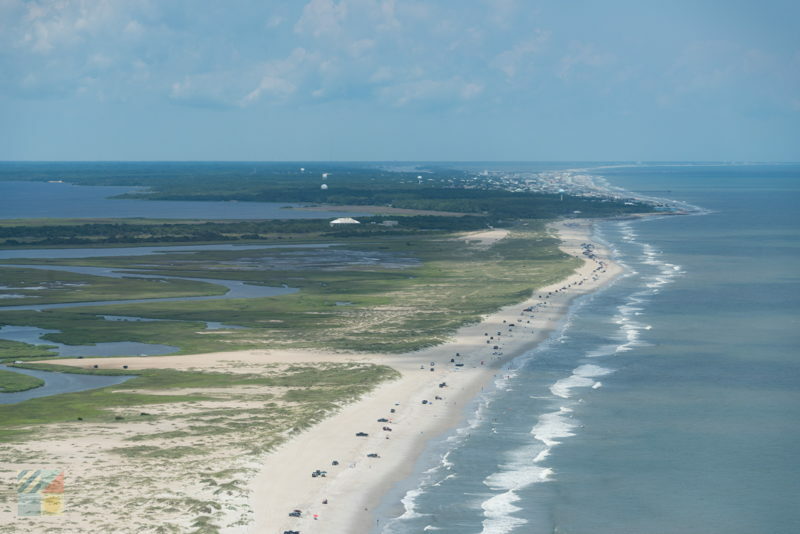 Kure purchased 900 acres of coastal land just a couple miles south of Carolina Beach, and over the decades, the area started to slowly gain in popularity as a small but entertaining vacation destination. The Kure Beach fishing pier was built by Han Kure’s son in 1923, reportedly making it the first fishing pier on the Atlantic coastline, and a post office was established just a few years later in 1942. 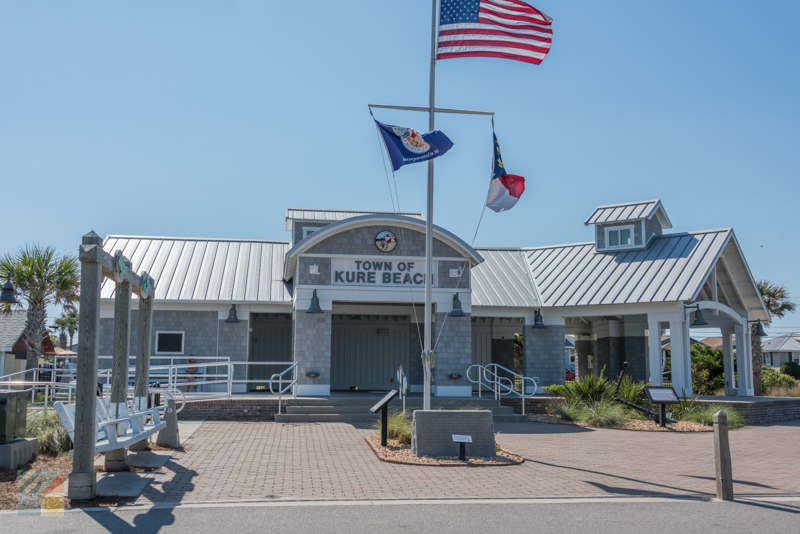 In 1947, the town officially became incorporated as the town of “Kure Beach,” as a nod to Kure and his family, and their steady long-term efforts to create an enticing vacation destination. Kure Beach extends for just .8 square miles in area, but it’s bordered by a nice array of beaches and attractions. The town of Carolina Beach serves as its northern border, while the Fort Fisher State Recreation Area and Historic Site, as well as Federal Point – the southern tip of Pleasure Island – is located directly to the south. Kure Beach is also surrounded by water, with the Atlantic Ocean on its eastern border, and the Cape Fear River on its western border. As such, the geography alone makes it a fine destination for surfing, swimming, kayaking, boating, and just enjoying the sand and sun. Visitors typically have the option to stay at a hotel / motel or a vacation rental when they land in Kure Beach. The town is home to a little more than a dozen hotels, which can range from classic and beachy one-story motels, to more luxurious all-suite options along the oceanfront. 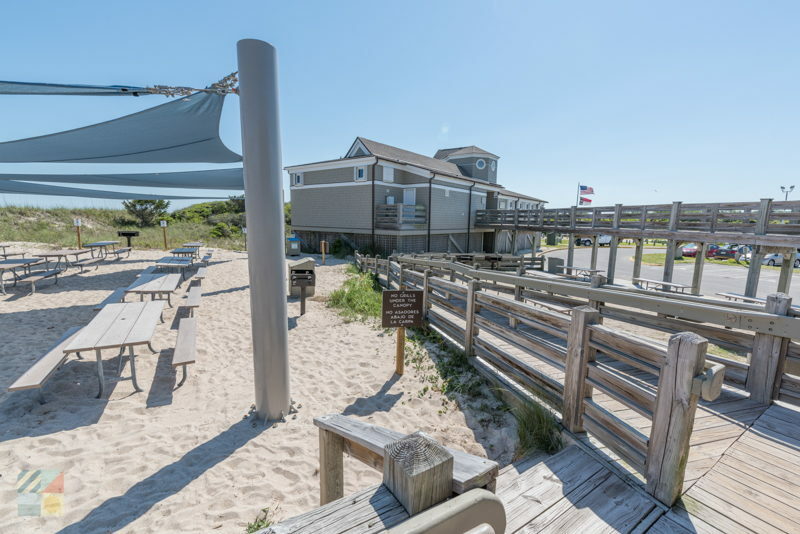 Kure Beach is also home to several hundred vacation rentals, which can range from 1-2 bedroom condos or cottages, to 6 bedroom or more sandcastles with private pools, hot tubs, game rooms, and ocean views and access. The majority of vacation rentals are represented by area property management companies, who rent out the homes on a weekly basis to visitors who want a more extended stay on the seashore. With a lot of variety, visitors can be assured that they can find the accommodations that suit their family when they stay in Kure Beach. Vacationers will just want to reserve a stay as far in advance as possible – properties are still somewhat limited compared to other beach towns like Carolina Beach or Wrightsville Beach, and popular summer weeks or weekends can fill up months in advance. There’s plenty of ways to have fun in Kure Beach! Check out these destinations and activities that are sure to keep family members of all ages smiling all vacation long. 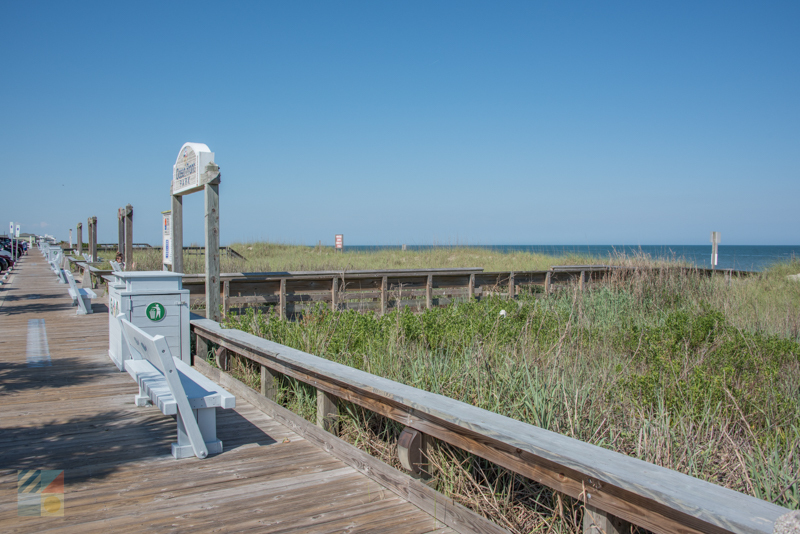 Ocean Front Park and Pavilion – The Ocean Front Park is Kure Beach’s largest public park, and is located in the heart of the downtown area next to the fishing pier. The site features beach access and a walking path, a playground for kids, swings and rain gardens, and an open air pavilion that hosts special events and concerts throughout the year. 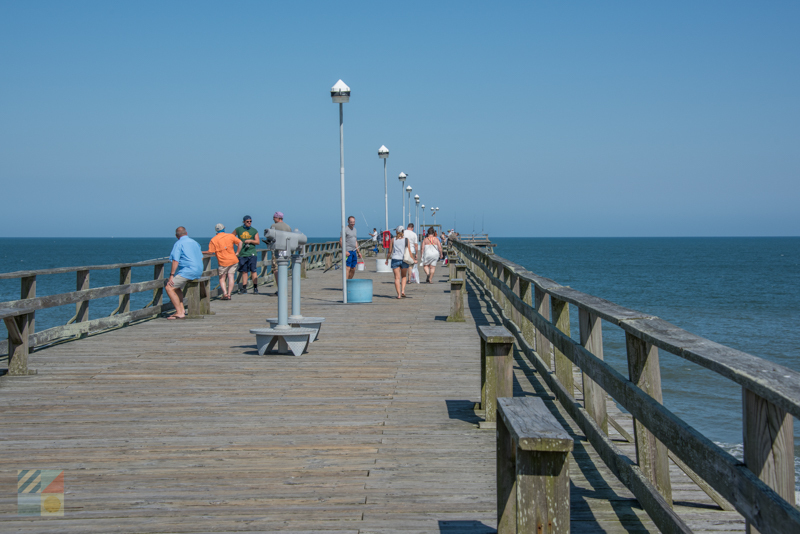 Kure Beach Fishing Pier – The roughly 700’ ft. long Kure Beach Fishing Pier has lots of ways to stay entertained, besides fishing and stunning views of the oceanfront shoreline. The pier also features a nearby concessions stand, an on-site fishing / bait and tackle shop, an arcade, and a large souvenir area. Joe Eakes Park – This public park that’s located just off the beach features baseball, volleyball & basketball courts, tennis courts, bocce ball courts, an on-site dog park, and a playground for kids to keep all active vacationers entertained. The site also features a new 18-hole disc golf course and a picnic area for easy snacks and lunches. 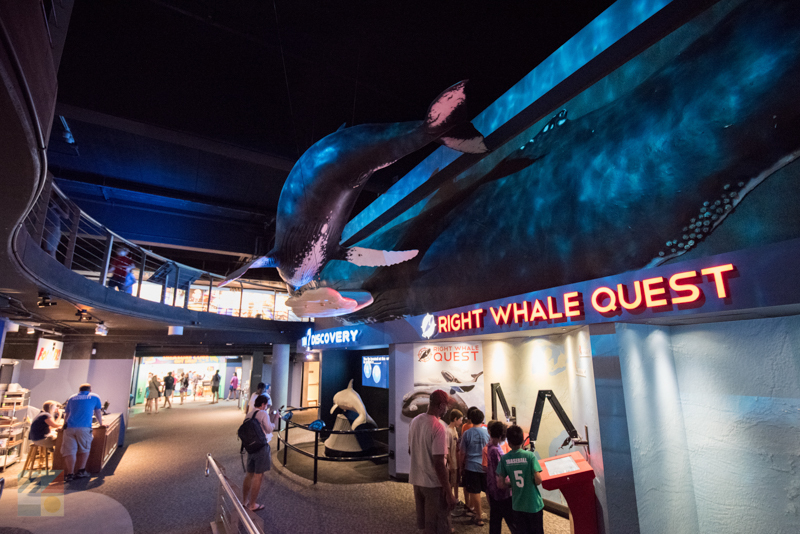 North Carolina Aquarium at Fort Fisher – The North Carolina Aquarium is a favorite Cape Fear destination, and features a wealth of interactive exhibits and attractions that highlight the marine life found throughout North Carolina. 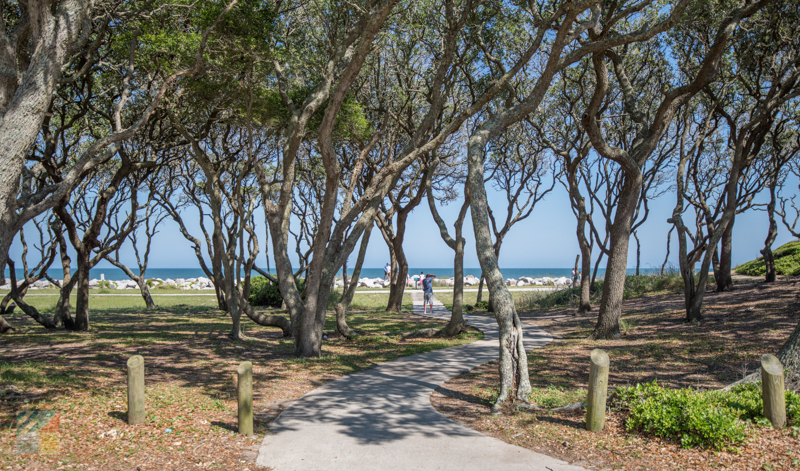 Fort Fisher State Recreation Area – The 287-acre Fort Fisher State Recreation Area features six miles of undeveloped shoreline, and is a popular destination for beach-goers who want a full day of surfing, fishing, swimming, and relaxing in the sun. Ample parking and restrooms are available on-site. Fort Fisher State Historic Site – The Fort Fisher State Historic Site marks the former site of Fort Fisher, which was one of the most important strongholds for the Confederates in the Civil War, until it was conquered by Union Forces in 1865. Today, the site features original earthen remnants of the fort, an interpretive walking trail, and a visitors’ center with exhibits on the original Fort Fisher. Fort Fisher / Southport Ferry – Visitors can take a long and scenic cruise to the charming town of Southport via the North Carolina state managed Fort Fisher / Southport Ferry. 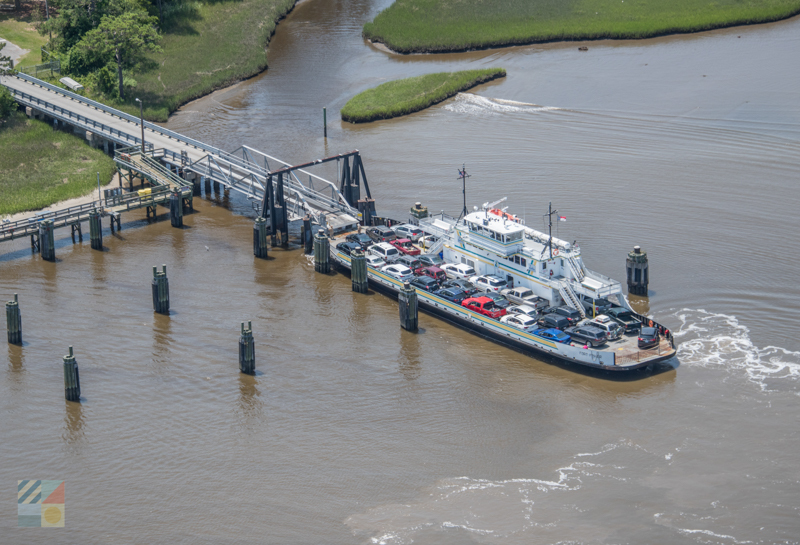 This vehicular ferry departs multiple times per day, and offers an easy trip to another enticing portion of the Cape Fear coastline. Zeke’s Island Reserve – Zeke’s Island Reserve is one of the most important shorebird habitats along the North Carolina coastline, and is a hard-to-reach but easy to enjoy collection of completely undeveloped barrier islands that feature great birding, boating and kayaking, shelling, and wildlife watching opportunities. Federal Point- Noted as the southern tip of Pleasure Island, Federal Point is a popular destination or mariners and boaters, thanks to its on-site boat ramps and parking, and easy access to the Cape Fear River and the Atlantic Ocean. Be sure and check out the summertime events calendars! Kure Beach has a lot of community spirit, and has plenty of events throughout the season such as art shows, farmers’ markets, outdoor concerts, and more. Rates in Kure Beach are seasonal, which means that they are at their peak in the summertime, and lower in the winter months. For a budget-friendly stay, look for vacation rentals or accommodations in the “shoulder season” spring and fall months, when rates may be noticeable lower. While Kure Beach has a nice collection of restaurants, neighboring Carolina Beach is well-known as a hotbed of activity, especially after hours. Head to this part of Pleasure Island for clubs, bars, and venues that can be open until 2:00 a.m.
Kure Beach is ideal for watersports fans! There are several rental companies and watersports shops around the area where visitors can pick up kayaks, stand-up paddle boards, surfboards, and more, allowing vacationers to discover how fun the water can be. Kure Beach is a great destination for vacationers who appreciate a slightly quieter beach environment, but who still want to be close to all the attractions that the Cape Fear coastline has to offer. Always fun and hopping in the summertime, this beach town earns its reputation as a true hidden gem along the North Carolina coast.